Home / Finasteride / How Does Propecia®/ Finasteride Work And Does It Help? In the shower one morning you notice a few more hairs blocking the plughole than usual. You look in the mirror and notice your forehead seems to have widened upwards in the middle towards your hairline and your hairline seems to have moved a few millilitres back in the direction of the middle of your head and your temples. You stand with your back to the large mirror and angle the smaller mirror in your hand to check out the top of your head. Reflecting back at you is a shiny scalp peeping through the thinly-spread hairs. Yes, it is looking thinner up there. And when you comb your hair, there are lot more hairs tangled in the teeth of the comb than you normally notice. It is happening! That which you wished you would not inherit from your parents. Yes, it is a receding hairline. You hope it is a bad dream that you will wake up from shortly. Only, it is not a dream. So, do you panic and start strategising the best way to make a comb-over look natural? Do you talk to your hairdresser about the best haircut to hide approaching baldness? Perhaps, even consider getting fitted for a hairpiece? Do you consider shaving all your hair off and going for the trendy shaved head look? Or, if that doesn’t appeal, and you have the means to pay, do you think about spending thousands to have painful hair transplants? You could do any of these things, depending on your personal preference. But, there is another option that may be more appealing and is pain-free. There is a treatment that you can get from your doctor to help restore your crowning glory. It is called Propecia® or Finasteride. Before we discuss how Propecia®/Finasteride works and whether it is effective, let us find out what it is, and what it does and does not treat. Propecia®/Finasteride is a medicine used to treat male pattern hair loss or baldness in men. It cannot be used to treat baldness in women. Propecia® is the name for the branded version of the medicine used to treat male pattern baldness and contains the active ingredient Finasteride. The branded version is made by Merck Sharp & Dohme, the company that originally researched and brought the medicine to market. Non-branded or generic versions of Finasteride, made by generic manufacturers, are also available. Finasteride is also used to treat benign prostatic hyperplasia.2 However, when used to treat this condition, it is taken at a higher dose than that used to treat male pattern hair loss. The branded version of the medicine for this indication also goes by a different name, Proscar®. It is important that you understand the difference between these two preparations and make sure that you have the right medicine for your condition. 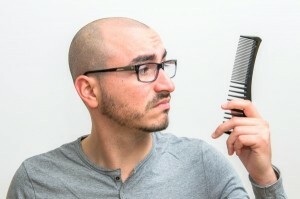 Male pattern hair loss runs in families, i.e. it is hereditary from both parents. Therefore, you stand a good chance of experiencing the condition, if male relatives of either your mother or father also have it. What do I need to know about using Propecia®/Finasteride? However, this will not cover everything. Always read the patient information leaflet that comes with your tablets and speak to your doctor or pharmacist for further information and advice. How do I get hold of Propecia®/Finasteride? You can only get Propecia®/Finasteride through a private prescription from your GP. It is not available on the NHS. It is available as a 1 mg tablet. The recommended dose is one 1 mg tablet every day. You can take it with or without food.1 There is no evidence that a higher dose will result in quicker or greater hair growth. Therefore, you should not take more than the recommended dose. Is there anyone who should not take it? What other effects should I look out for? Most medicines will have some side effects. However, people will react differently to the same medicine. Therefore, not everyone will experience the same side effects and some people will not experience any side effects at all. You won’t know until you start taking the tablets. In clinical trials, side effects for Propecia®/Finasteride were uncommon. Reported side effects were usually mild and, generally, treatment did not need to be stopped. How soon after starting Propecia®/Finasteride) can I expect to see results? How long can I take Propecia®/Finasteride? What happens when I stop taking Propecia®/Finasteride? You are, hopefully, now feeling more knowledgeable about how Propecia®/Finasteride works and how effective it is. Let us recap what we have learned. Propecia®/Finasteride is a medicine used to treat male pattern hair loss. It is available as a branded product and as generic versions. Male pattern hair loss results in a receding hairline, thinning of hair on the crown and at the temples. 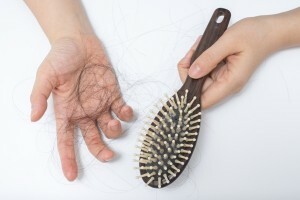 This type of hair loss is common, experienced by 50% half of males by the time they reach 50 years of age. Male pattern baldness is hereditary and thought to involve the androgen hormone testosterone, which is broken down to dihydrotestosterone in skin cells. 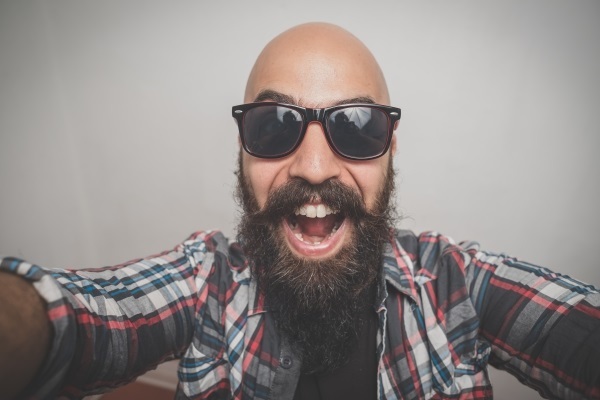 In some men, due to the genes they can inherit from either parent, the hair follicles on their head become more sensitive to dihydrotestosterone, resulting in the hair loss. Propecia®/Finasteride works by blocking the enzyme that converts testosterone to dihydrotestosterone and thereby reversing and preventing further hair loss. In clinical studies in men with mild to moderate hair loss, Propecia®/Finasteride was effective in increasing hair count and hair regrowth, as early as 3 months after starting treatment and the benefits continued up to 5 years. Side effects of Propecia®/Finasteride are not common, but the most common, sexual dysfunction, may continue even after stopping treatment. For best effect, Propecia®/Finasteride should be taken as soon as hair loss begins. It may take up 6 months after starting treatment to stabilise hair loss and the benefits start to reverse 6 months after stopping treatment. It is, therefore, important to take one tablet of 1 mg Propecia®/Finasteride every day as prescribed and to continue taking them to maintain hair growth. Merck Sharp & Dohme Ltd. Propecia® (Finasteride) 1 mg tablets. Summary of Product Characteristics. July 2017. https://www.medicines.org.uk/emc/medicine/3680. Accessed 10/12/2017. Merck Sharp & Dohme Ltd. Proscar® (Finasteride) 5mg film-coated tablets. Summary of Product Characteristics. September 2017. http://www.medicines.org.uk/EMC/medicine/1190. Accessed 10/12/2017. Harding M. Alopecia. info. 04 June 2015. https://patient.info/doctor/alopecia. Accessed 10/12/2017. Hair loss. NHS Choices. https://www.nhs.uk/conditions/hair-loss/. Accessed 10/12/2017. Alopecia, androgenetic -male. Definition. NICE Clinical Knowledge Summaries. June 2016. https://cks.nice.org.uk/alopecia-androgenetic-male#!topicsummary. Accessed 10/12/2017. Finasteride (By mouth). PubMed Health. https://www.ncbi.nlm.nih.gov/pubmedhealth/PMHT0010302/?report=details. Accessed 10/12/2017. Merck Sharp & Dohme Corp. Propecia® (Finasteride) tablets for oral use. Highlights of prescribing information. September 2013. https://www.merck.com/product/usa/pi_circulars/p/propecia/propecia_pi.pdf. Accessed 10/12/2017. Assured Pharmacy is not liable for the currency or accuracy of the information contained in this blog post. For specific information about your personal medical condition, please contact our doctors or pharmacists for advice on [email protected]. ← How Safe Is It To Take Priligy? Just How Devastating Is Hair Loss in Men? Propecia & Finasteride – What Have You Got To Lose?